Rivalry isn't one of the seven deadly sins-but perhaps it should be the unofficial eighth. 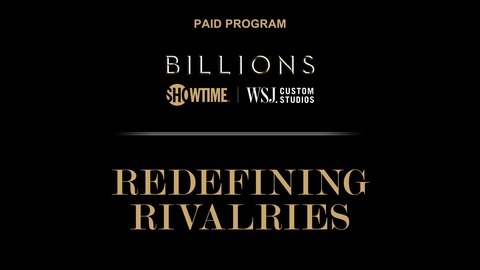 In the Redefining Rivalries podcast, sponsor generated content for Billions on SHOWTIME, produced by WSJ Custom Studios, a unit of the advertising department of The Wall Street Journal, the intricacies and impact of interpersonal competition will be explored in four distinct areas. In finance, we'll talk with an activist investor who battles the conventional mindset of making money at all costs. We'll dissect sports rivalries and discover the root of our irrational dislike for the "other team." The series will also pull back the curtain on rivalries in classical music-a world rife with competition. And in New York City, we'll enter the kitchen of a restaurant that employs a staff of chefs with their own set of unexpected feuds. WSJ. Custom Studios is a unit of The Wall Street Journal advertising department. The Wall Street Journal news organization was not involved in the creation of this content. Rivalry isn't one of the seven deadly sins-but perhaps it should be the unofficial eighth. 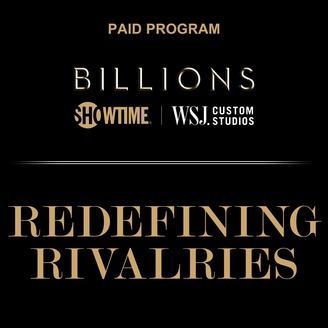 In the Redefining Rivalries podcast, sponsor generated content for Billions on SHOWTIME, produced by WSJ. Custom Studios, a unit of the advertising department of The Wall Street Journal, the intricacies and impact of competition will be explored in four distinct areas. On this episode, which should really be titled, "Battle of the Grandmas," we'll examine the unique rivalries that boiled to the surface when a restaurant hired "nonnas" as chefs. WSJ. Custom Studios is a unit of The Wall Street Journal advertising department. The Wall Street Journal news organization was not involved in the creation of this content.